A flagger monitors traffic recently along north Main Avenue at 29th Street as contractors work on one of five sidewalk ramps. The city of Durango and CDOT intend to build 30 additional ADA ramps next year. A construction worker pauses between marker flags recently at Main Avenue at 29th Street where sidewalk ramp work is underway. CDOT and the city of Durango partnered to build ADA ramps at five intersections. A flagger monitors traffic recently along north Main Avenue at 26th Street as contractors work on the sidewalk ramp. 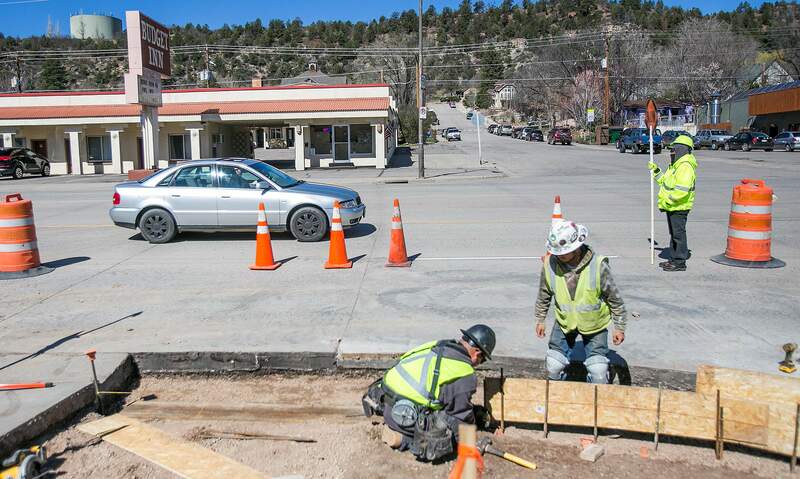 CDOT and the city of Durango partnered to build ADA ramps at five intersections. The city of Durango at the last minute piggybacked onto an ongoing Colorado Department of Transportation project to make some sidewalks along north Main Avenue more accessible. New ramps under construction along north Main Avenue will replace curbs and allow people to easily walk or roll onto the sidewalk at five intersections. Locations include all four corners of 21st and 31st streets; the northwest corner of 26th Street; the southwest, southeast and northeast corners of 29th Street; and the northwest, southwest and southeast corners of 30th Street. “These particular intersections were chosen because they were the least limited in regards to right-of-way issues and that sort of thing. We were able to readily address these intersections quickly within the timeframe of the (road) project underway, ” CDOT spokeswoman Lisa Schwantes said. The city had grant money to build the ramps and put the project out to bid twice, but estimates came in hundreds of thousands of dollars too high, Assistant City Manager Amber Blake said. The city asked CDOT to add the ramps to its $6 million resurfacing project along north Main after the second round of bids were rejected about a month ago, she said. The CDOT contract for roadwork had been awarded to Acme Concrete Paving of Spokane, Washington, and it was a scramble to get the ramps included, she said. The ramps cost $388,000, which was much less than the bids the city received, Schwantes said. The cost was covered by a $200,000 Federal Highway Administration Transportation Alternatives Program grant and an $89,000 match from the city. CDOT contributed an additional $99,000. CDOT designed the ramps before the city sought bids. The work will help bring the sidewalks into compliance with the Americans with Disabilities Act. “It’s a piecemeal process and we do everything we can to bring the system into compliance,” Blake said. Some sidewalks along north Main are narrow, blocked by light poles, unpaved or uneven. When individual properties redevelop it is the responsibility of the developer to upgrade sidewalks and relocate utility poles if necessary, Blake said. The ramp construction is the first project of its kind between the city and CDOT. Construction started last week and ramps on the east side of 31st Street are finished. CDOT is designing 30 additional ramps in the corridor that are planned to be installed in 2018, and that would make all the ramps along U.S. Highways 550/160 ADA compliant, she said. The ramps are welcome news to the Southwest Center for Independence, a Durango-based, regional nonprofit that assists and provides resources to people with disabilities. Tim Walsworth, executive director of the Durango Business Improvement District and an Accessible Community Team member, said this is a first step in making the auto-centric north Main Avenue corridor more pedestrian friendly. 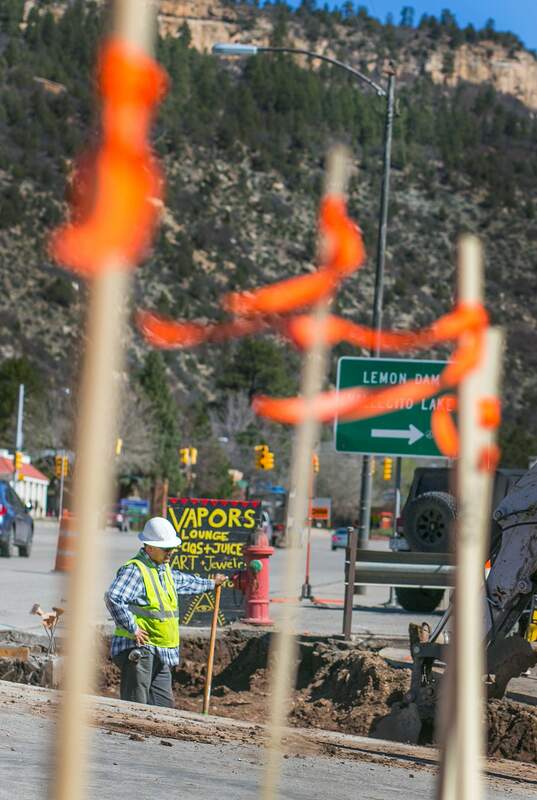 CDOT expects to complete the highway project, including the ramps, by Memorial Day. 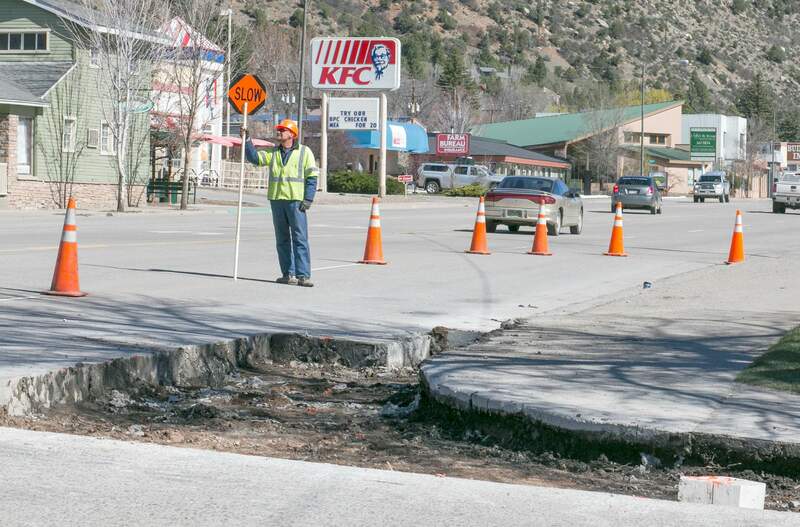 Motorists should expect traffic shifts between the DoubleTree Hotel and Animas View Drive on U.S. Highway 550, and traffic is reduced to one lane over the Junction Creek Bridge, 24/7 through mid-April as CDOT completes a resurface and rehabilitation project. Stay up-to-date on progress and find out about traffic delays and road closures by visiting codot.gov/projects/us-160-550-durango-concrete.